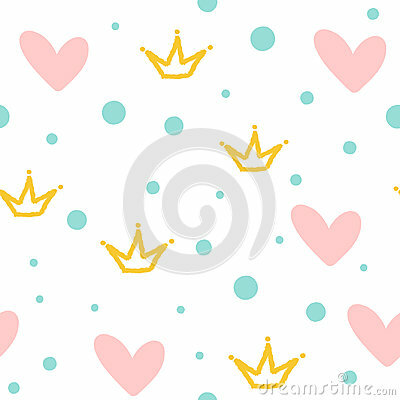 Repeated crowns, hearts and round dots. Cute seamless pattern. Drawn by hand. White, pink, blue, yellow color. Vector illustration.